33422 WA08MVG is one of three brand new buses that are due to enter service shortly on the Bude to Exeter service. 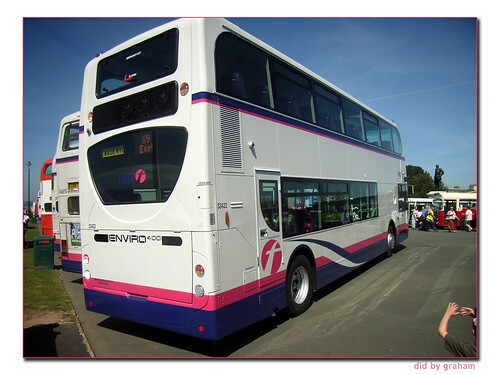 Fitted out to the same high standard as the Park and Ride Enviros they certainly look very smart in full Barbie livery. I assume they they will receive some route branding at some stage? It does seem strange that FDC seem to be able to stick to their own fleet purchasing policy when just about everyone else in the group has to have standard First Group spec Volvo / Wright products. A couple of the Park and Ride Enviros were also present at the event - but were in use as Rally Control and rest rooms rather than full rally entries. 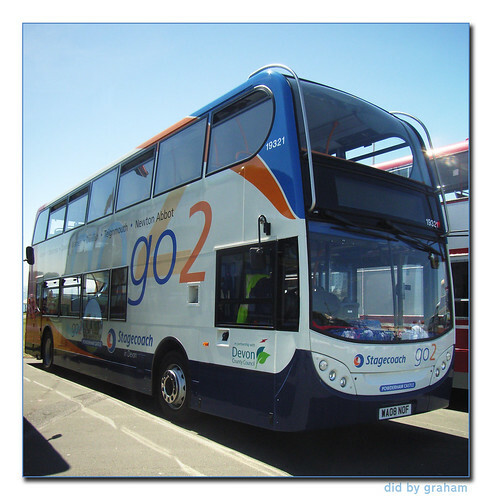 Not to be outdone Stagecoach had one of their brand new Enviros too. 19322 WA08NOF is one of the new buses for use on the 'Go2' service from Exeter to Newton Abbot. 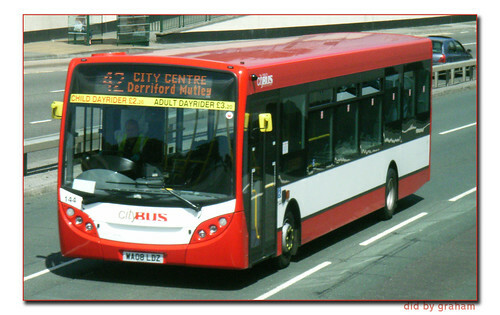 They also have a few secondhand Enviros which will be used on the X38 Plymouth to Exeter service. Not sure if they have started yet though? 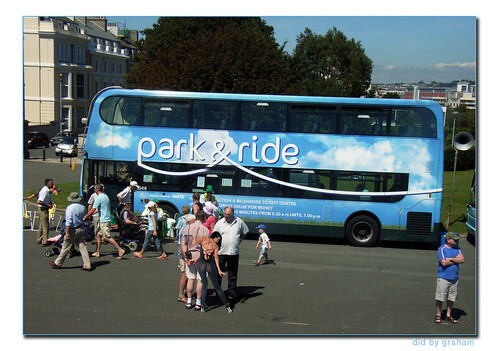 I have already posted the Citybus Enviro that was on display so here is one I prepared earlier! 144 in service a week ago, just to make the full set of Enviros from the rally. 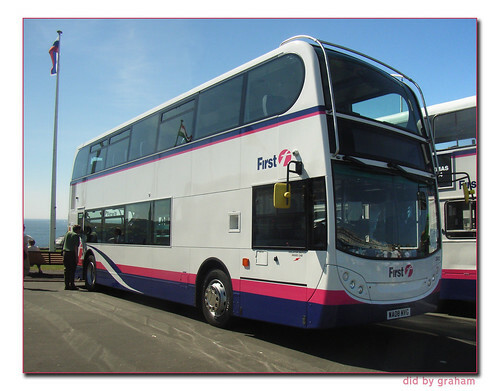 IIRC Graham, FDC's non-use of B7TL/Wright or B9TL/Wright is because Wright haven't yet produced a lowheight 'decker body, hence the non-standard Trident/ELCB and now Enviro 400, the previously favoured B7TL/ALX400 having been discontinued.